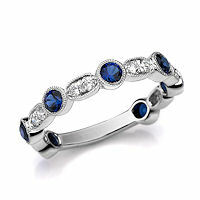 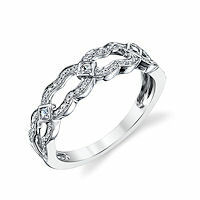 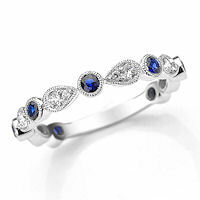 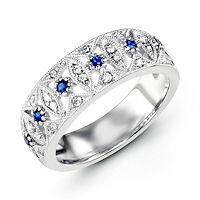 18K White Gold Diamond & Sapphire Ring - 18kt white gold, diamond & sapphire, anniversary ring. 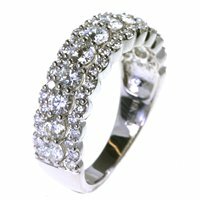 There are a total of 33 round stones in the ring. 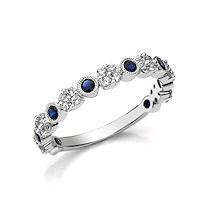 There are about 0.29 ct tw VS1-2, G-H, diamonds and 0.36 ct tw genuine blue sapphires. 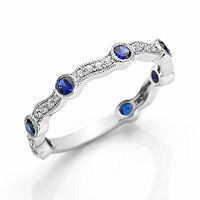 18K White Gold Diamond & Sapphire Ring - 18kt white gold, diamond & sapphrie anniversary ring. 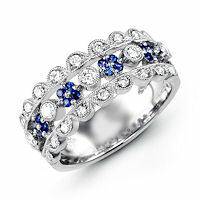 There are 28 round diamonds and sapphires set in the ring. 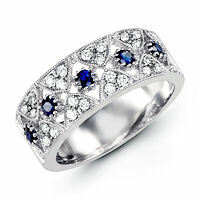 The diamonds are about 0.14 ct tw, VS1-2, G-H and the genuine blue sapphire are about 0.13 ct tw. 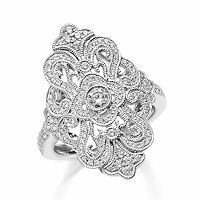 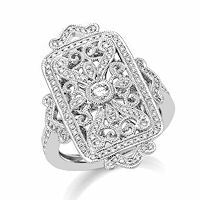 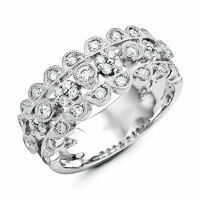 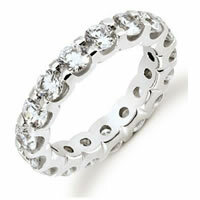 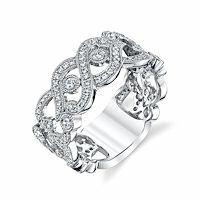 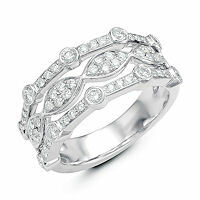 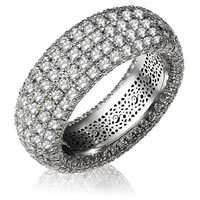 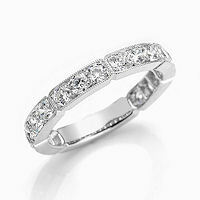 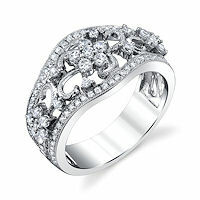 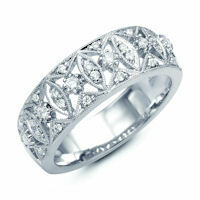 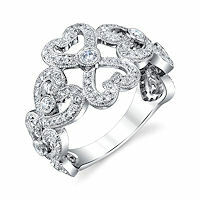 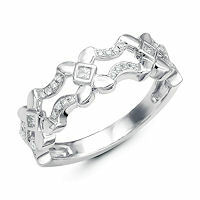 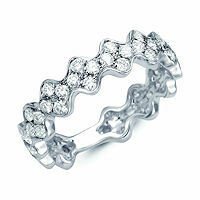 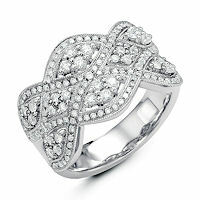 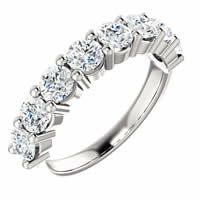 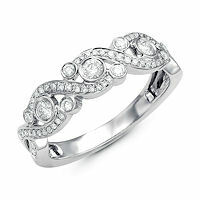 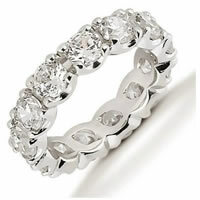 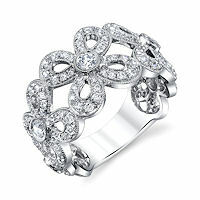 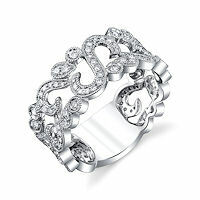 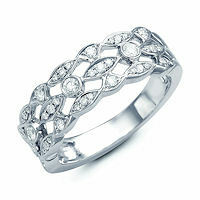 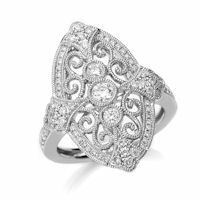 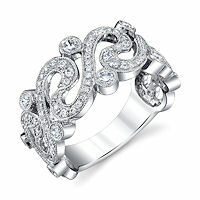 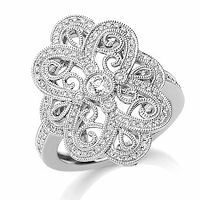 18K White Gold 0.80 Ct Tw Diamond Ring - 18kt white gold, diamond anniversary ring & fashion ring. 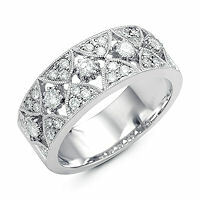 There are 58 round diamonds set in the ring. 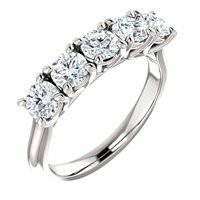 The diamonds are about 0.80 ct tw, VS1-2 in clarity and G-H in color. 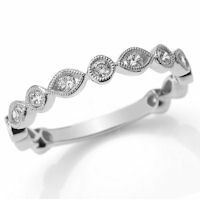 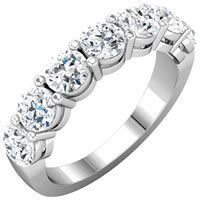 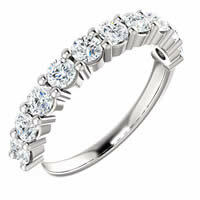 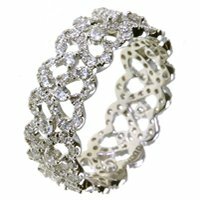 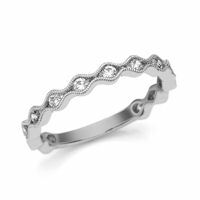 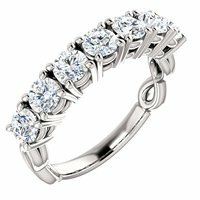 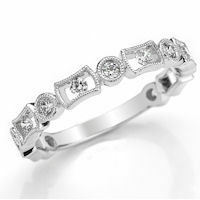 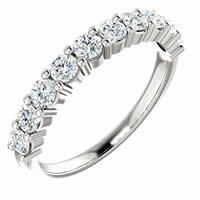 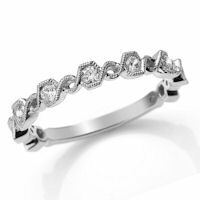 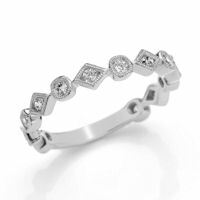 Diamond Anniversary Band - One platinum diamond anniversary band holds 57 round brilliant cut diamonds with total weigh of 1.47ct. 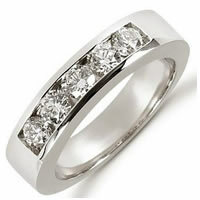 The diamonds are graded as VS in clarity G-H in color. 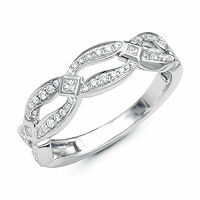 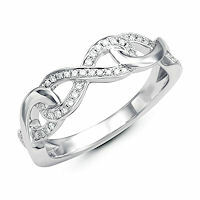 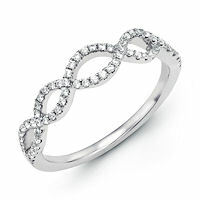 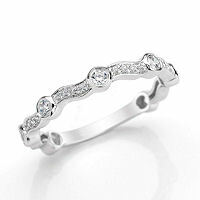 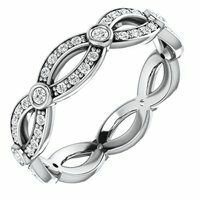 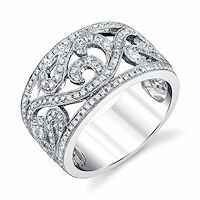 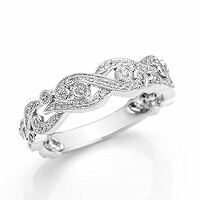 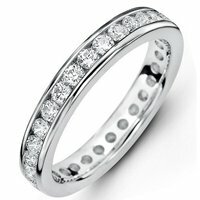 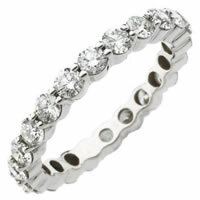 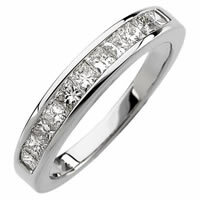 18K White Gold Anniversary Band - 18K white gold, 7 diamonds anniversary band. 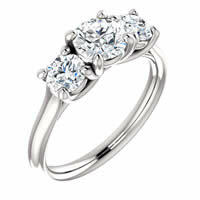 Diamonds total weight is 1.50ct and are graded as VS in clarity G-H in color.